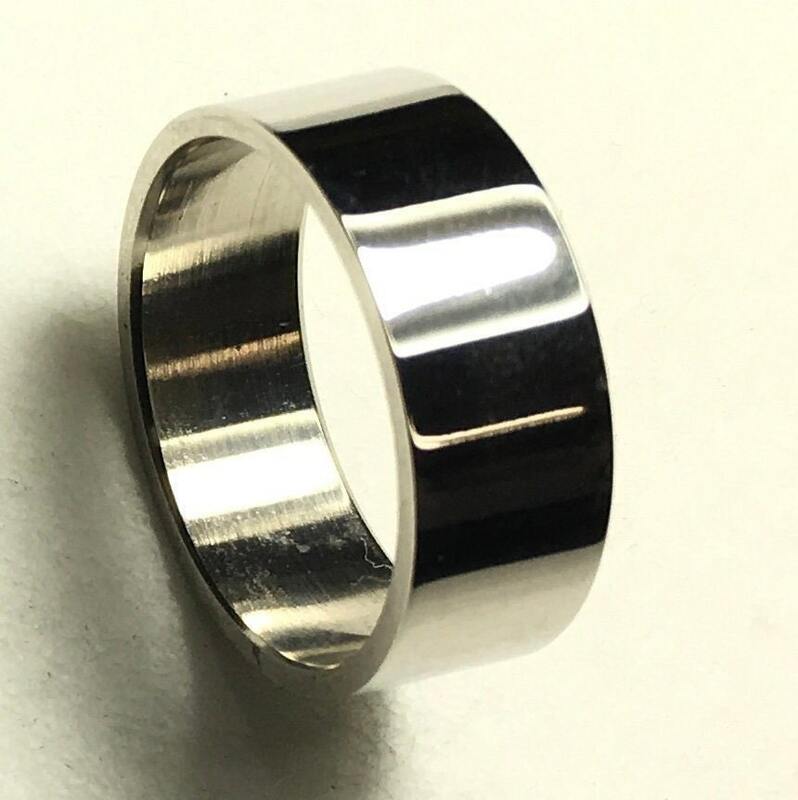 Silver 8mm Wedding Band. High Gloss Finish. All Stainless Steel. Beautifully Simple. Nice Thick feel at 8mm wide. 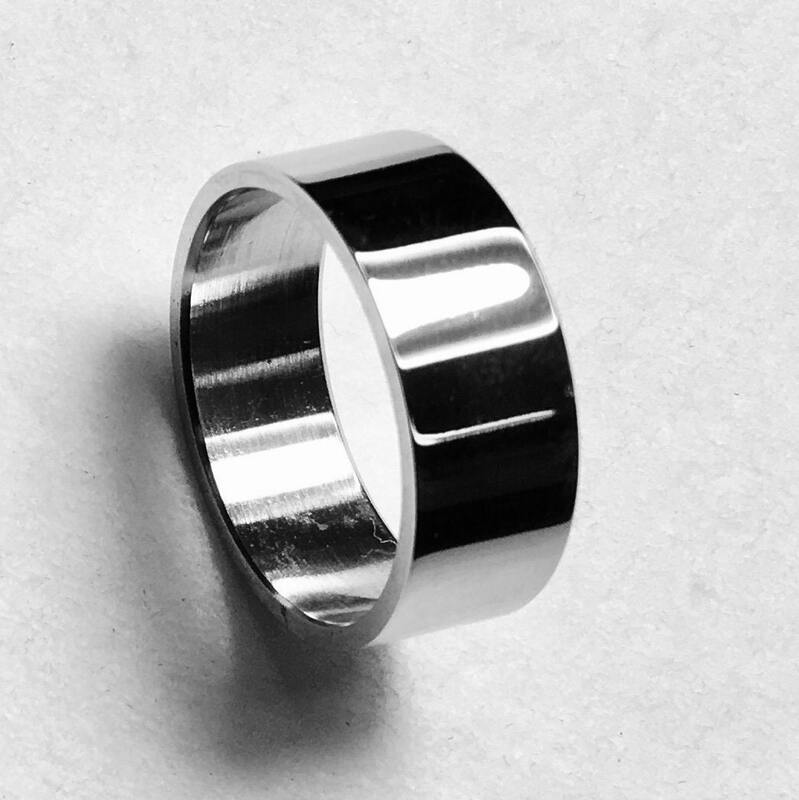 Great for your Wedding Rings. High Luster finish. 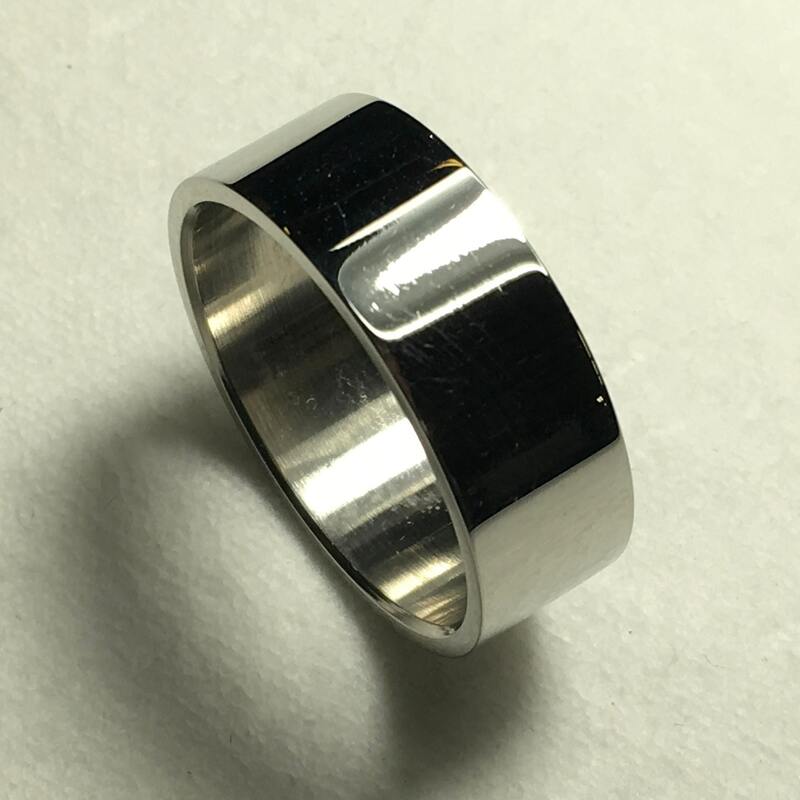 Each ring is the perfect width at 3/8" (8mm) wide and at a perfecty low price! Made entirely of Stainless Steel, your ring will never aggravate your skin, dull, or tanish!